Le Cong Kieu was just a small, nameless lane until it was widen and named Reims Street under the French Government back in 1920. 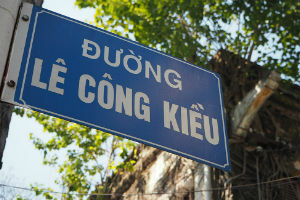 It was later named Le Cong Kieu under old Saigon Government after a soldier’s name. After Independence Day, the street became a place that people would sell second hand stuff or any stuff that was considered valuable. Gradually this street became an antique town when tourism began to develop in 1990s in Vietnam. In this town, you will find many precious collections from bronze statues, coins, tables, chairs, to telephones, cameras, etc. You may even find some interesting items such as black and white photos, silvers spoons from sunken ships, old leather albums, antique clocks, etc. Every piece that you find here helps you put together a picture which showcases the diversity and richness of Saigon's history. However, it is important to note that only less than 15% of those are real while the others are from China or other factories in Long An or middle areas of Vietnam. 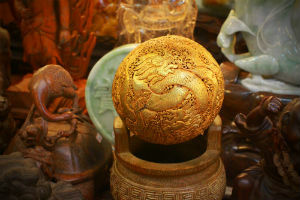 Hence, prices will vary according to a customers’ knowledge, years, how precious and how interesting the goods are. You should be careful enough to know how much your purchases are actually worth. And, never forget to bargain with the sellers for the best possible deal. 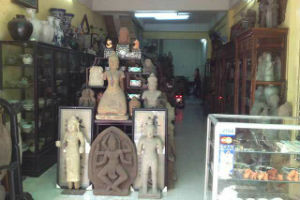 Many restaurants owners often come here to look for various antiques for their restaurants. In a trip to Vietnam in 2000, Mrs. Hillary Clinton had a truly enjoyable experience visiting this town. 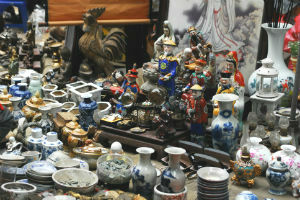 An avid collector of antiques herself, she even thought that the antique vases sold were genuine until told otherwise. The quality of craft of the imitations really surprised her. Most of the goods here are priced in USD and gold. 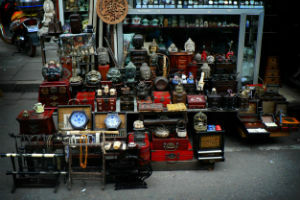 So, if you are interested in antiques, customize your city tour to include antique street in your itinerary.